Everybody waits around for summer to be here, from laying out by the pool to grilling with friends and family it is the perfect season in most peoples eyes. I agree that there are wonderful things about summer, but it is September-December that I look forward to because that means pumpkin flavoring takes over EVERYTHING. 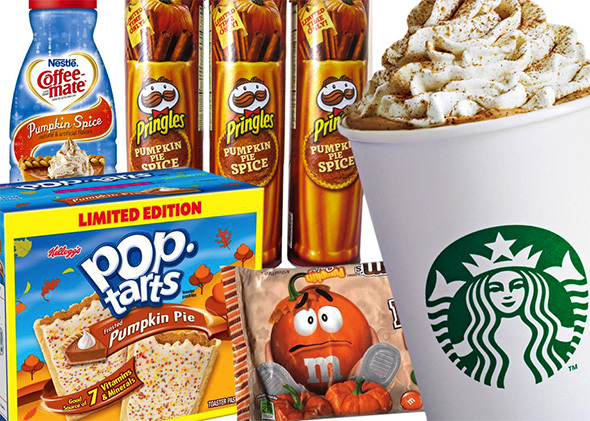 I have always had a great love with pumpkin flavored things. We all start out loving pumpkin pie, but as we and our taste buds grow older we stumble upon new discovers mine happened while in college. Thee Pumpkin Spice Latte from Starbucks. My first run-in with this warm, rich pumpkin flavored drink happened one crisp fall day and I have never looked back. I thought to myself after the first sip ‘This could not be true that somebody was able to produce fall in a cup’ but it happened. I felt like I had discovered a secret world of obsessions that would be hard to escape…this thing had MEMEs and Tumbler pages for crying out loud. l was a fast moving ball of exploration, from there I had discovered coffee creamers, wine, and chapstick. All great. But this year I have noticed the pumpkin game has stepped up a few notches. 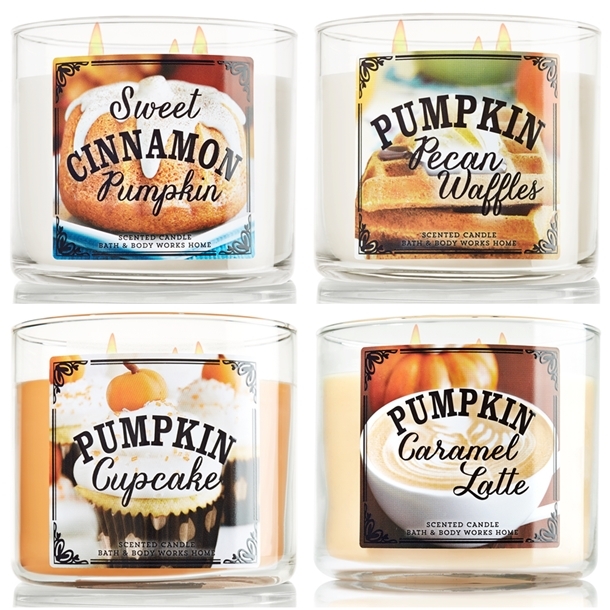 Bath and Body: They came out swinging- They have an ENTIRE collection of candles dedicated to the sweet smell of pumpkin. On top of that, the candles were released in August…AUGUST! buy me all of these, please and thanks. Dunkin Donuts and Tim Hortons: Giving the world one more thing to wake up for from pumpkin iced coffee to pumpkin cream cheese spread. good morning, noon, or night. M&M, Oreos, Gum, Beer, Butter, Ice Cream I mean…it is as if all of my dreams are coming into full fruition. BUT is it all urban/social media legend? I hope that some sick person out there with killer photoshop skills is not putting false hope in this head of mine. 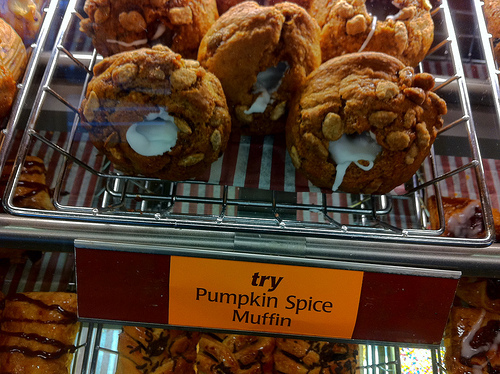 I’m just a girl…loving the pumpkin spice world. Some may say this is a white girl problem, but I say it is an every girl problem, and its not even a problem really…more like a way of life that not every agrees with. Guys will never understand the obsession nor do they have to- they just have to go with it, or die. The mayhem grows every year and I am right there to support it in my black leggings, knee high ‘riding boots’, a flannel, and puffer vest on. « What Was Carrie Doing?